6 Factors to Consider for a Successful Litigation Strategy | Help More! If you have ever been involved in litigation, you might have an idea that most of the cases often get settled prior to trial. And if your case reaches the trail, you need to have a smart Litigation Strategy for winning the case. It is quite daunting for a layman to understand the legal complexities and therefore, you should take professional assistance. Many recognized names in Miami can help you to get the desired consequences. 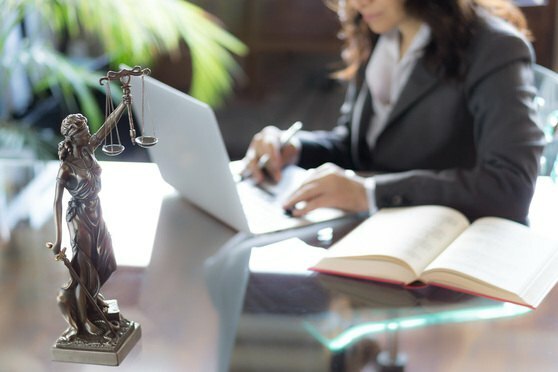 A wise and experienced litigation strategist would always consider the risks and remember the following 6 factors to develop a Successful Litigation Strategy. Here is the most critical factor to consider for devising a Litigation Strategy. In addition to thinking about the suitable issues, a qualified litigation strategist will also consider the clients that can best represent those matters as lawsuit parties. Thus, it is essential to consider who the client is, what his reputation is and whether or not his image can be a helpful factor in the case. Once the client is identified, the next important factor to take into account is the goals and aim of the client. It is important to know what the client exactly wants, what his motive is and to which extent he is willing to go for being on the winning side. For making a Successful Litigation Strategy, it is crucial to know the significant objectives of the client. The consultant should not select a litigation strategy prematurely in haste. The client and the attorney should consider all the possible plans and options for catering to the problem. A client should be well aware of all the possibilities, and then you may cross out the ways that fail to help the client in attaining the desired outcomes. If you have ever been involved in litigation, you might have an idea that these can be really costly. Usually, successful litigation covers about 60 percent of the costs which is indeed not a significant ratio. The court ensures that expense signifies the value of the claim. In many situations, and the prosecutions are often deprived of a substantial cost. Therefore, for a suitable strategy, should also consider the potential unrecoverable cost. It is also important to know that litigation strategy is heavily influenced by the client’s timing needs. Therefore, you should take into account the time required to attain the client’s goals via multiple strategies. A consultant needs to estimate the time that he can spend on a particular matter. Besides, he should be fair and realistic in telling the client about the expected time that it would take to achieve the goals. Once the strategy is decided the litigation strategist should keep a proper time record for managing the whole process. In the initial phase of planning, one should consider the available resources. A detailed plan should be made including time estimation, required staff, and financial estimation. You should have a clear idea about the availability of resources so that a practical strategy can be designed. Last but not least, one should know the working capacities, functional capabilities and the limitations so that a feasible strategy can be designed. The primary considerable factors include time, funds and the staff that the company has for completing the project. Clear identification of these is necessary for developing a strategy that can lead to success. If you are looking for a credible and experienced firm in Miami for helping you with a litigating strategy, Focus Litigation Consulting can help you out.